I walked into the Gap Outlet in Lincoln City and my heart started aching. It was packed due to all of the back to school shoppers ~ it was very reminiscent of the previous year. Anna and I were in Ohio visiting and we stopped at the local outlet mall and went to the Gap to do some back to school shopping. It was such a fun day with my girl and one I will always cherish. As I stood there, alone, I reached into my purse and found my bag of Love Rocks. I pulled one out and headed straight to the girls section. I looked around thinking about what her taste in clothes would be this school year, I smiled and then found, what I thought, would be the one thing she would have to have. I lifted the pile of shirts and tucked the Love Rock out of sight. As I left my heart was heavy but I had a smile on my face for my girl. She sat at her computer typing a private message on a group Facebook page she had liked. “Good Afternoon, My daughter recently went through an unexpected, yet successful heart procedure in October. The ordeal has made us all grateful for our health. My daughter stayed at Randall Children’s Hospital. The experience has forever changed us. We would like to make gift bags for the kids and staff and include “Love Rocks” in each bag. However, I am not so crafty, but I would like to attempt to make these. How do we go about doing so? She was working and it was busy. 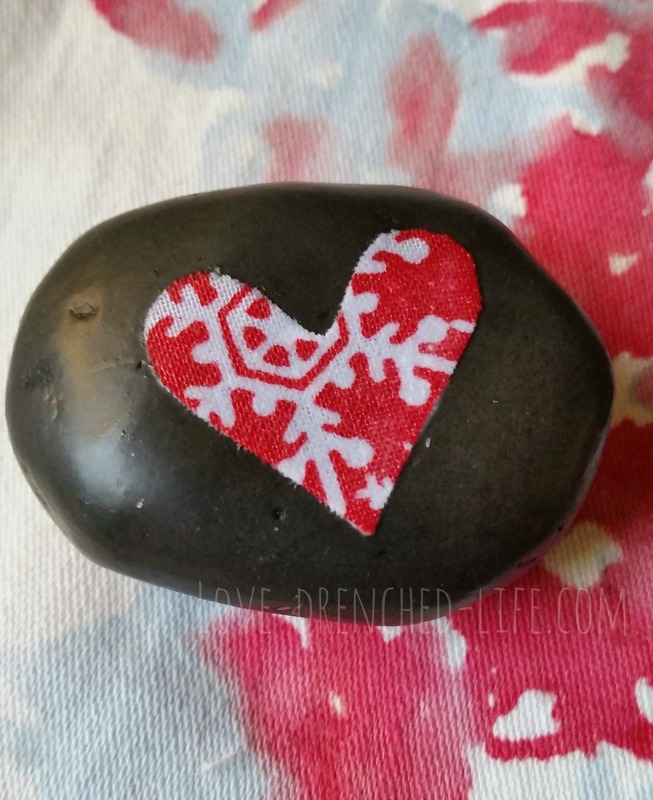 She was straightening the back of the store and saw some shirts that needed folded and that is when she found it, a little rock with a fabric heart and a card that said it was a Love Rock. After work she got online and looked it up. She posted a message on the Facebook page saying she found a Love Rock in Lincoln City while she was at work. A reply came back asking where she worked. She replied the Gap Outlet. We stood in the McDonalds parking lot, half way between our homes, for the exchange. One mom connected to a hospital because the doctors and nurses did everything they could to make sure her daughter’s final days were comfortable and another mom grateful to the same hospital for taking such good care of her daughter through an unexpected heart procedure. Both moms wanting to give back in honor of their daughters. 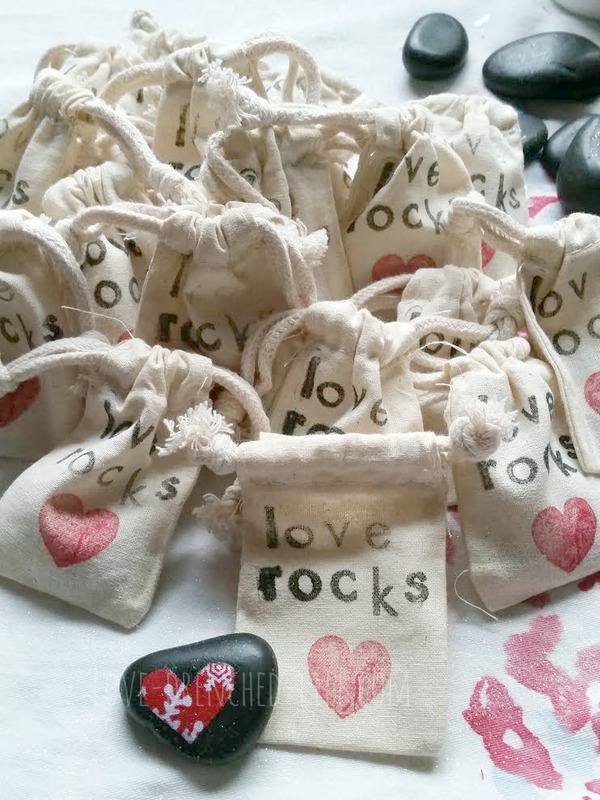 I had made up 20 special Love Rocks for her to put with her gift bags. We stood sharing about our lives and found we had a lot of similarities. The conversation flowed as if we had been friends for a long time. As we were talking she shared with me about her best friend, she lived in Lincoln City. She shared how her friend was dealing with the loss of two children her and her husband were in the process of adopting. They had rooms made, clothes bought and had visited the children in their country to begin the process of bonding. She had found out in the summer that they weren’t going to be able to adopt the children and were grieving that loss. She then said that shortly after they found out her friend found a Love Rock while she was working at the Gap Outlet and it had meant a lot to her to find it at that exact moment. She really needed the love and joy. I knew instantly we had a connection ~ my heart swelled. I’m not sure how it all works and why these little rocks seem to connect people with one another. One may say it’s a coincidence but I have read too many stories since April 20th of how peoples lives are touched by Love Rocks to say it’s just by chance. This past Saturday I was reminded again just how powerful it is to choose love and joy. By making that choice we then become connected to those around us, we open our hearts to the beauty of this world and are reminded of what matters most. As I drove back to my house I talked with my girls about what had just happened. I know that they see the bigger picture and smile as they watch me try to process what this is all about. That is when I heard it, the whisper. I am keeping both of these women close in prayer because besides leaving Love Rocks, it is what I can do. I know first hand the power of prayer! So happy a Love Rock found you Kellie!! Happy Anniversary!! And hate! You are a gift!